GREAT WHISPERING PINE FLOOR PLAN WITH LOTS OF BELLS AND WHISTLES IN THE VILLAGE OF CALUMET GROVE! 3 BR's (3RD BR has 2 built in closets/use as office/den/or br), 2 Baths, 1664(-+)sq.ft. 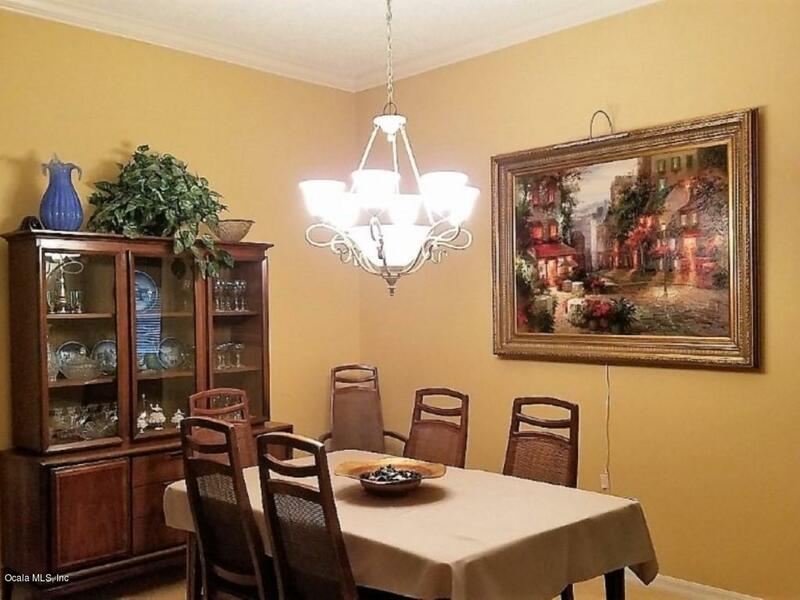 living area, 2 car gar., Newer A/C&H unit & 1 yr hot water heater! 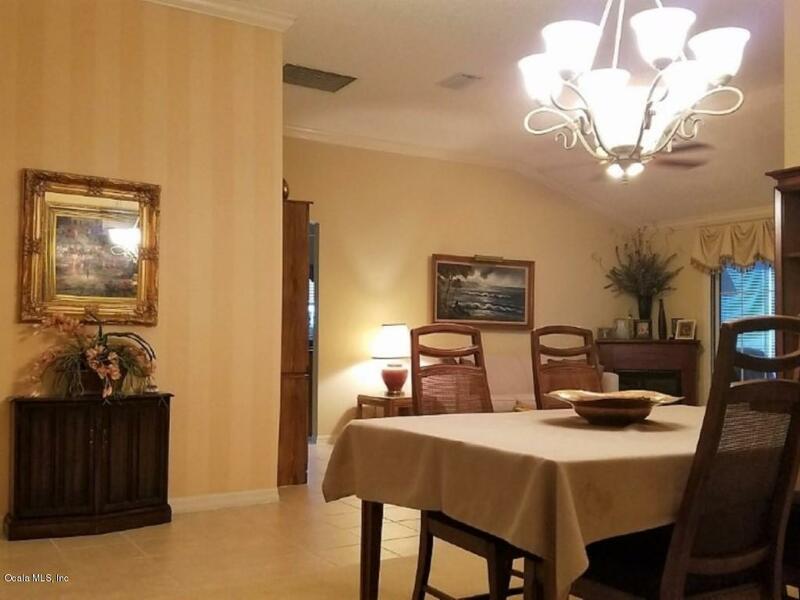 THIS HOME IS JUST MINUTES TO THE VA CLINIC, SHOPPING, RESTAURANTS, AND MORE! Enter the foyer leading to the large great room with a formal din. 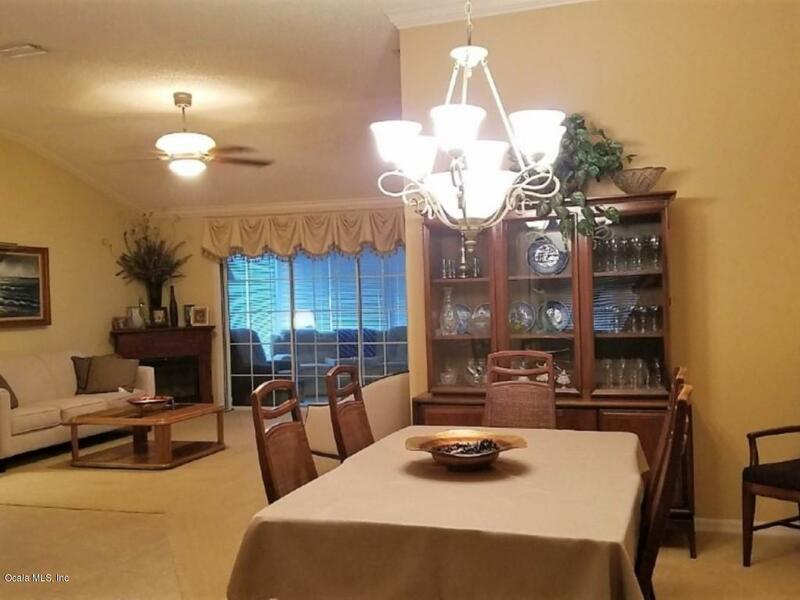 rm., crown molding, 2 solar tubes, neutral colors with just a splash of more color, French doors to 3rd br/den/office, guest bath has marble sink & tiled shower & tub, bay window in 2nd br, MBR Suite has dbl vanity sinks & step in shower, Kit. w/lots of cabinets & nook, triple slider out to encl. Lanai under H&AC! BOND BAL: $3,981.24, Yrly. Maint. Assess: $547.53, Yrly. Bond Payment: $442.65!master bedroom has big walk in closet, master bath has double vanity sinks, step in/down shower with seat, wonderful light fixtures and window treatments, large kitchen has lots of cabinets with cabinet pantry, kitchen nook with bay window, eat at counter or use it to prepare your next meal, triple sliding doors out to enclosed LANAI under Heat and Air and has an extended open concrete patio out to the side for grilling and entertainment. 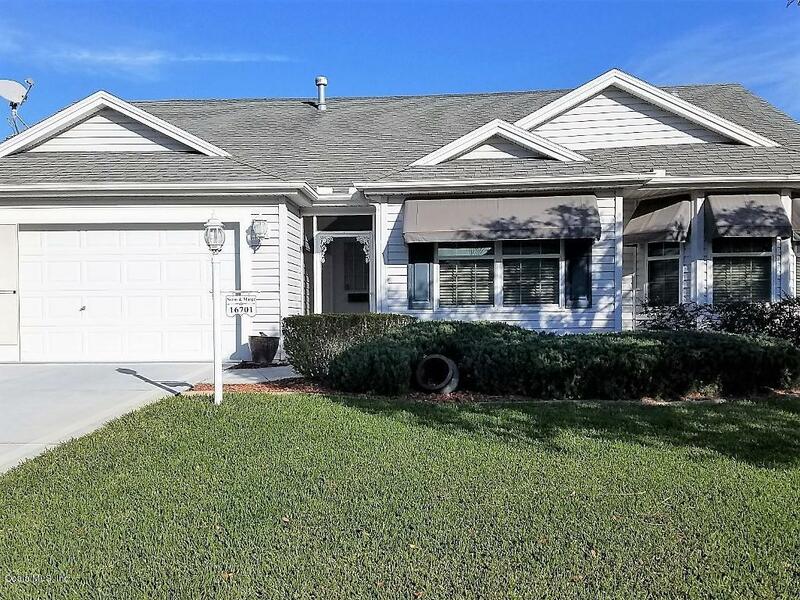 You will love calling this YOUR home! Call today for a private showing. Listing provided courtesy of Deborah Woods of Remax/Premier Realty - Lady Lake.